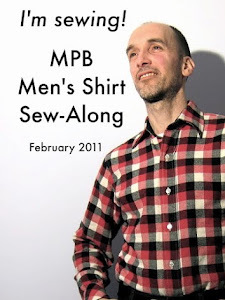 Chalk it up to shyness, fear, or simple lack of curiousity, but it's rare that MPB readers ask me questions about myself. Today, however, I have decided to answer a few questions I have been asked, with a few more added by Michael. It's time to play...NAME THAT PATTERN! Readers, I am SO excited! 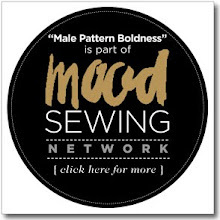 Once again, it's time to play the sewing blogosphere's favorite game -- Name That Pattern! The Embellished Behind -- YEA or NAY, or "Does this bustle make my a** look fat?" Friends, I'm no fashion historian but the bustle has got to be one of the strangest styles to come out of the Ninteenth Century. 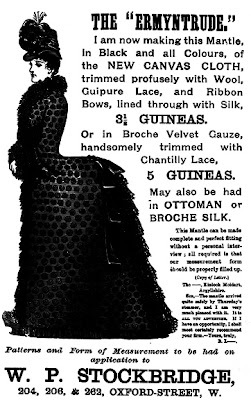 To me, this silhouette is simply bizarre, whether it's worn by Queen Victoria, Nellie Oleson, or an Eighties bride with possible incontinence problems. 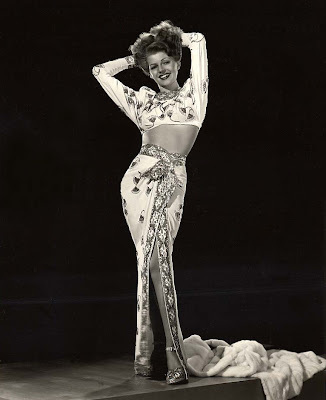 Labels: 40s glamour, patterns, YEA or NAY? 1) Sometimes our projects don't turn out the way we'd hoped. 2) Often people can be satisfied with less than perfect results. 3) Sometimes what looks perfect to us doesn't look that way to others. These statements all relate to the topic of online feedback. I've read a number of comments here lately about the kind (and quantity) of feedback some sewing bloggers get: too much, too positive given the quality of their work. I don't know the blogs in question (hopefully not mine), but I get the gist of what they're saying -- don't you? Pattern Winner + New Fabric! Friends, every so often while hunting for patterns, I come across an image that says it all. And since you know me pretty well by now, I'm not even going to tell you what it says; I trust you can figure it out. Haute Couture: "J'Adore" or "Bore"? Confession: sometimes I feel about haute couture the way I feel about those magnificent Gilded Age mansions in Newport, Rhode Island. Yes, they're beautiful, but you don't need to study them to build yourself a perfectly lovely split-level ranch house. 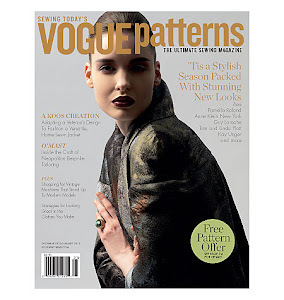 Mad Men, Audrey-Style Vintage Pattern GIVEAWAY! Readers, where have I seen this dress and jacket combo before? Did Audrey Hepburn wear it in Two For the Road? Or was it Faye Dunaway in The Thomas Crown Affair? Friends, today I wish to address an unusual -- and growing -- phenomenon in the sewing blogosphere: the lost blogger. The Shelf Bust or "Attack of the 50-Foot Bosom"
Blame it on nuclear fallout, or postwar exuberance, or plain-and-simple bad taste. For some reason, in the mid 1950's, the fashion industry came out with the shelf bust. 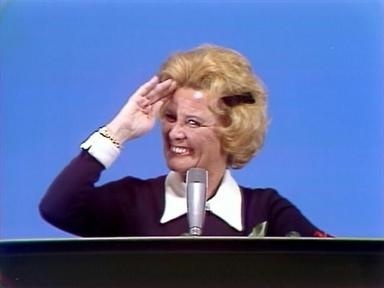 It was a short-lived look, but for a while women went for it. Chiffon -- YEA or NAY? Chiffon. The very word is onomatopoetic, don't you think? That whisper-soft shhhh sound evoking the dreamy creaminess of this uber-glamorous fabric. But does anybody really sew with it anymore, other than for bridal wear -- or even like it? 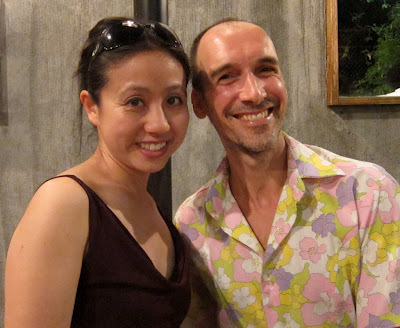 Last Swimsuit Post of 2012 + Gertie Gossip! Beside stumbling on fifteen yards of heavily beaded trim at the flea market this weekend, I also got to attend Gretchen's Pets Alive benefit party on Saturday night, and what a treat it was! Our hostess was glamour personified in a midnight blue strapless cocktail dress of embroidered cotton organdy with taffeta underlay (did I get that right?) -- her own creation -- with handsome husband Jeff coolly conservative in head-to-toe Men's Wearhouse. Such a smart couple! Fab Flea Market Finds or "Baubles, Bangles, & beads, beads, BEADS! Readers, do you believe in synchronicity? I generally avoid all that woo-woo stuff, but how else can I explain the glamorous gee-gaws I grabbed at the flea market this morning? 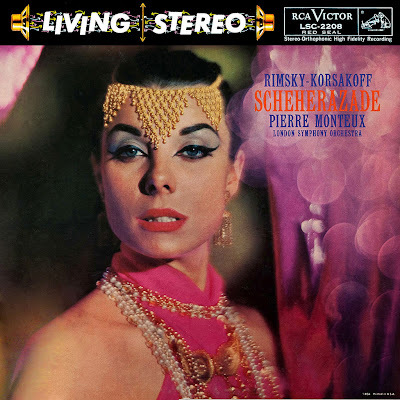 No sooner had I expressed my intention of making a Halloween harem girl outfit --now leaning more toward Scheherazade (an upgrade), with Michael as a Persian prince -- than the flea market opened its arms to me...for a price, of course. 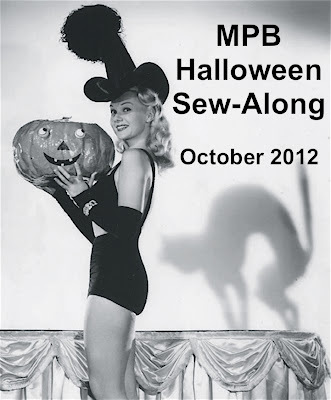 MPB Halloween Sew-Along -- Save the Date! Many of us will be sewing for Halloween -- costumes for ourselves, for our spouses, and/or for our kids. This year, however, we'll have the opportunity to prepare for the most fun holiday of the year together. 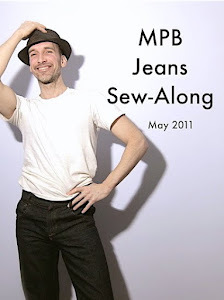 Beginning Wednesday, October 10th, I will be leading the first-ever MPB Halloween Sew-Along! It's not like I haven't tried them. 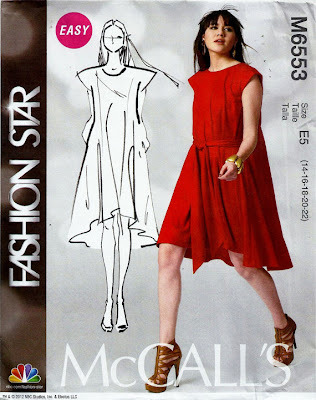 I have used two downloadable patterns in my relatively short sewing career and vowed never again. Oh, sure, it's convenient -- for the pattern company! For the home sewer it's a waste of 1) time, 2) paper, 3) printer ink. I'm sure other things are wasted (tape!) and I depend on you to come up with them. Labels: patterns, YEA or NAY? Readers, I don't know what your vacations are like, but I came back from Provincetown feeling pooped. I had a wonderful time and we enjoyed excellent weather (except for the two days when it rained), but I'm weary. Do you ever find yourself needing a vacation-vacation? It sounds so self-indulgent. Cathy Models the 1940's Swimsuit Ensemble! It's nothing short of a miracle. Only days after giving birth to a healthy 10 lb. baby girl, my cousin Cathy was back in front of the camera, strutting her stuff on the beautiful beaches of Provincetown, Massachusetts. 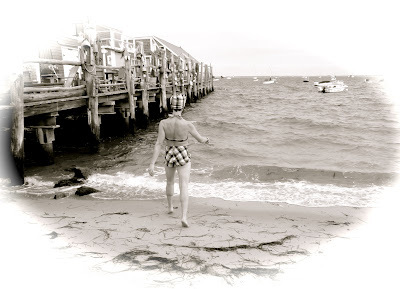 In a series of echt Forties swimsuit ensembles, our new mother turned heads as she frolicked along the shoreline, striking poses not seen since Moon Over Miami. And when this little mermaid hit the water, she really made waves! New Fabric, New Patterns, New BABY! 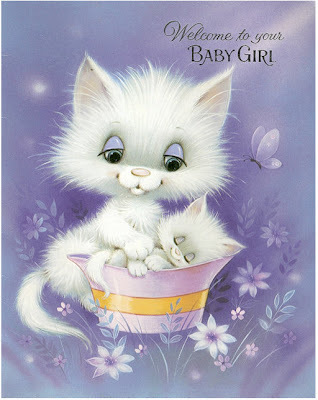 Readers, I am proud to announce that last Monday, September 3rd, (Labor Day), my cousin Cathy gave birth to a 10 lb. bouncing baby girl.